Robert Webb is one of Britain’s most popular comedians. 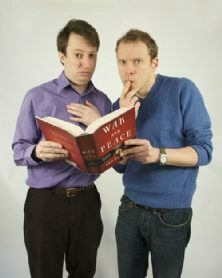 He is one half of the double act Mitchell and Webb, alongside David Mitchell. The duo are best known for starring in the Channel 4 sitcom Peep Show and their award-winning sketch show That Mitchell and Webb Look. They first met at the Footlights in 1993 and collaborated for the 1995 Revue whilst studying at Cambridge University.